View the exhibition online HERE! 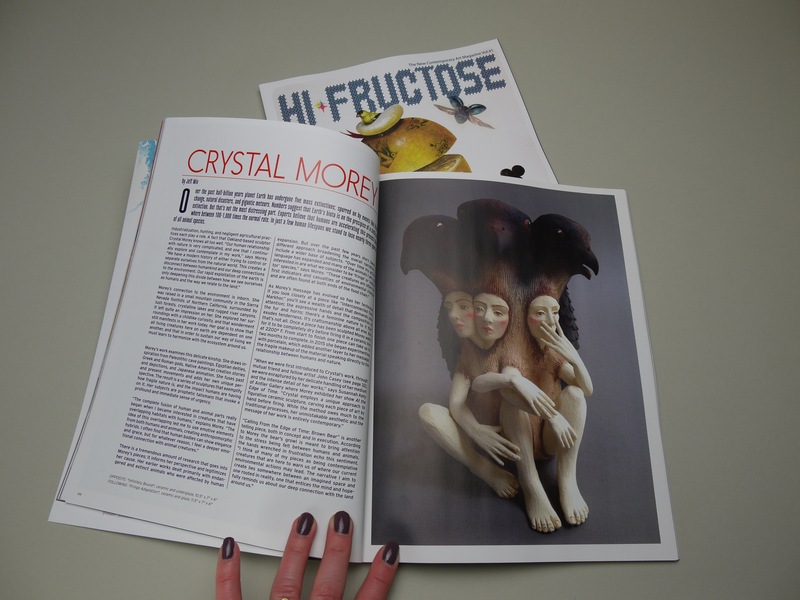 Modern Eden Gallery proudly presents proudly presents the second major solo exhibition by sculptress Crystal Morey at the gallery. 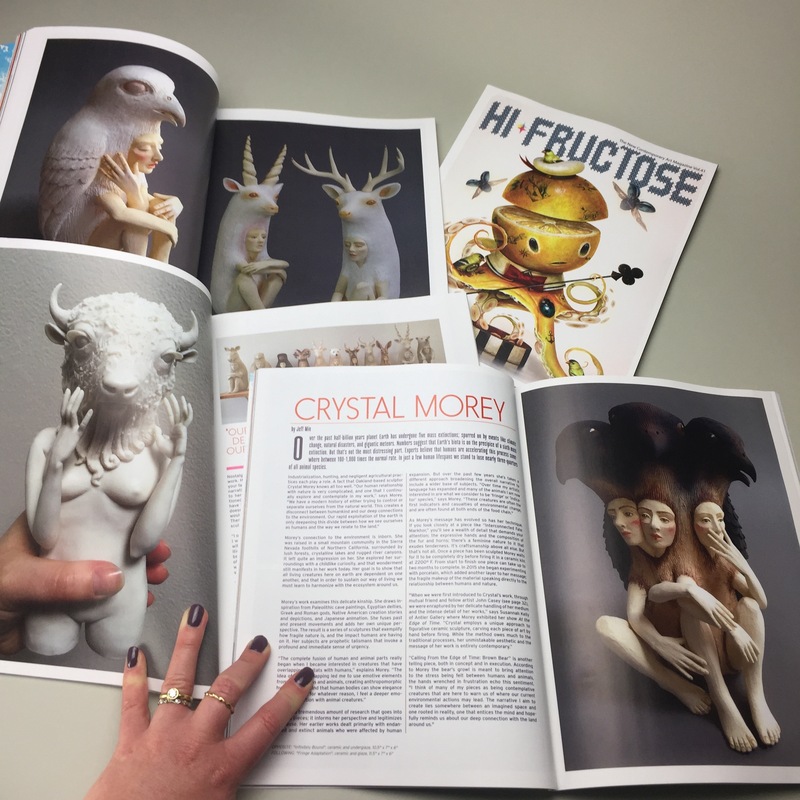 Crystal Morey explores ideas of contemporary environmental issues and the ways humans are impacting and changing the natural world. 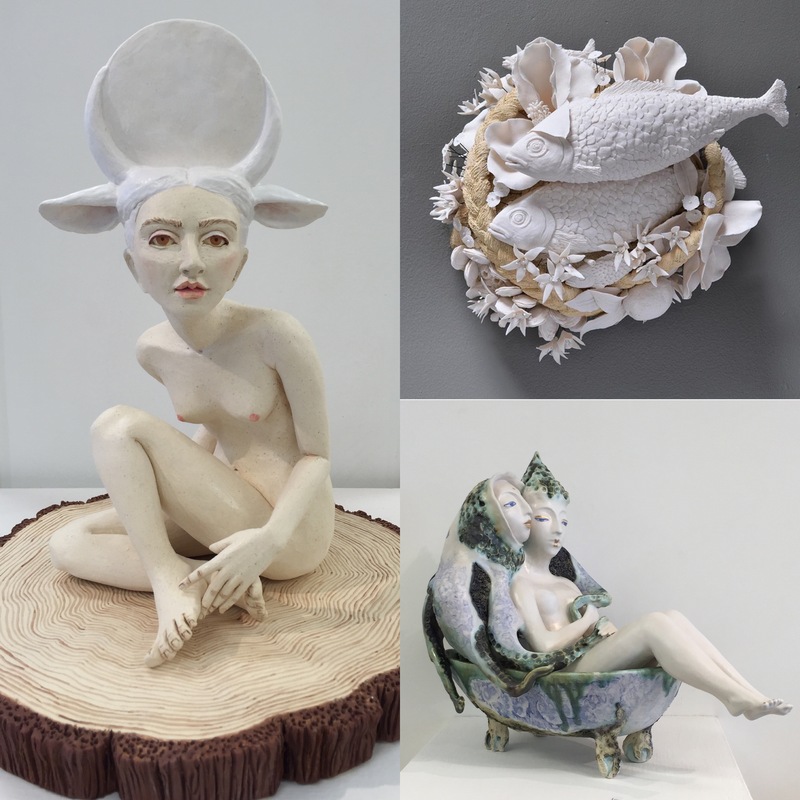 Through the delicacy of porcelain, she investigates these fragile connections and intricate dependencies, creating hybrid creatures of plant, animal and human components. This collection of new works, “Lush Anthesis”, draws inspiration from 18th century European art history, referencing the decadence, emotion and romance of the time. These sculptures embody the gestures, stylization and whimsy found in the paintings, honed marble statues, and ornate porcelain vessels of the rococo era. Anthesis — being a period of full bloom — these creatures are in a moment of transition, growing, blooming, and evolving. Each handmade, porcelain element is a celebration of nature, reminding us of the delicacy, magic and beauty found in all things. In these imagined creations, we are reminded of our interwoven lives and habitats, and that all living things rely on each other for the long-term health of our world. 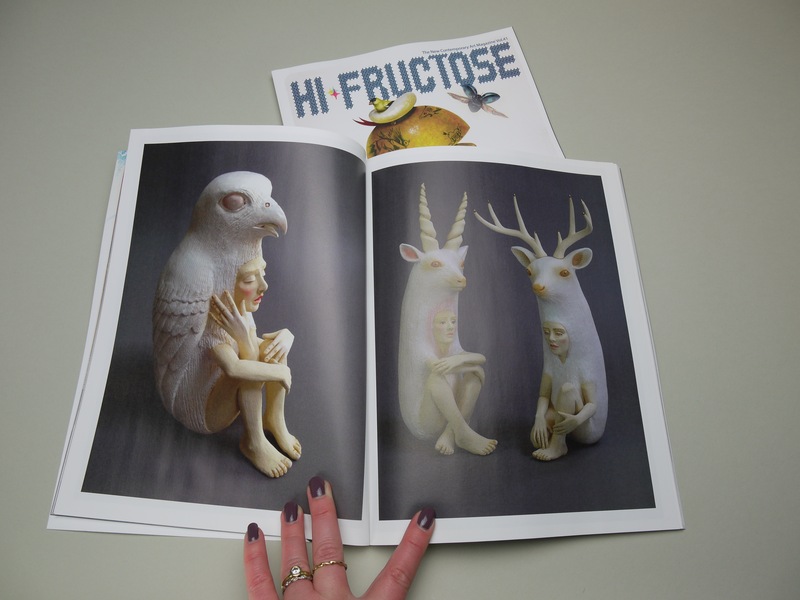 I could not be happier or more honored, thank you Hi Fructose for the amazing feature! It is beautifully written with some of my favorite images! Thank you to Annie Owens for the interest and to Jeff Min for your very thoughtful words! I am delighted to be in this excellent publication alongside some of my favorite contemporaries. Volume 41 is officially out October 1st, be sure to find your very own, it is an incredible issue! Three Realms opens February 4th from 6-9! Come join us at SMAart gallery for a great show! Seeking inspiration from the environment around them, artists Natasha Dikareva, Malia Landis, and Crystal Morey are interested in the mystery, allure, grace and whimsy found in the natural and imagined world we all share. 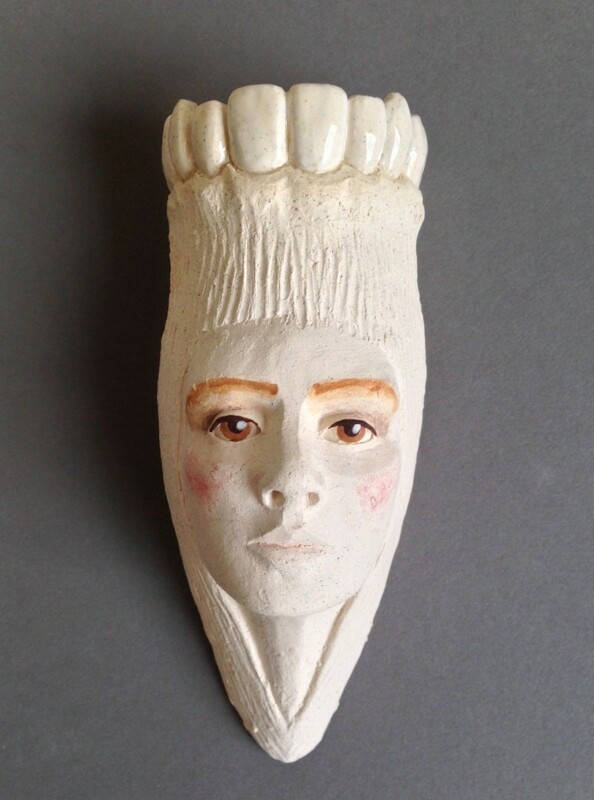 In their own voices, each artist uses the tradition of clay to capture human emotion and catalogue ideas of growth and adaptation, the real and the imaginary, delicacy and impermanence, flight and stillness, inner and outward self. Influenced by ideas of nature, myth, memory, and the passage of time, these artists work to understand and show the space we all inhabit. The Three Realms is a contemplation of theses spaces: the land and its interconnected dependencies in humans, plants and animals, the sea in its mysterious ecosystems and continual cycles, and the sky in its unpredictable temperament and as a gateway to infinite space. We are rallying for Christa Assad! If you have not heard, Christa broke her back while escaping the burning building that was her home. She lost everything in the fire and due to her broken back, broken nose and lacerated eye lid will not be able to work in the studio for the next three months. You can help by donating any amount and if you donate $25 you will be entered into a raffle where you could win my piece along with many other amazing works. Visit http://www.youcaring.com/christaassad any little bit helps!